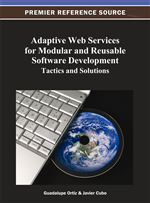 Web Services appeared essentially as an interoperability solution and REST as a closer match to the semantics of protocols such as HTTP. Clearly influenced by the original browsing goals of the Web, these technologies are not native solutions to the service-oriented paradigm, exhibit limitations to interoperability, and behavior has to be implemented in a separate language. Web Services offer a WSDL document to describe them, but assume that complex data use the same schema in both interacting services, which increases their coupling. This chapter discusses interoperability, from the perspective of both the consumer (compliance) and provider (conformance) services, and it argues that compliance is a weaker requirement for service interoperability than conformance and should be the cornerstone to decrease coupling and to favor adaptability. Structural interoperability is used, given that the lifecycles of distributed resources are decoupled. Metrics to quantify adaptability, based on similarity and decoupling, are proposed. The complexity and changeability of software have long been a huge challenge for software developers, affecting not only applications but also virtually all aspects of computer science, such as formats, protocols, languages, platforms, techniques and standards. It seems that change and adaptation are really the only constant things. The Open-Closed Principle: An object should be closed, so that it can be used, but at the same time open, so that it can be changed. Actually, this is a corollary of the two previous principles and it means that it is possible to tune up objects by redefining operations, even if the source code is not available. Unfortunately, most of the advantages of the object-oriented paradigm, namely information sharing (inheritance, in practice) and polymorphism, stem from the fact that the lifecycles of the objects are coupled, either at compile or link time, which is not the case for services, in SOA and cloud environments. These are loosely coupled and evolve independently, but need nonetheless to interoperate. As one service changes, those that use it must adapt to maintain interoperability. Figure1 illustrates the possibilities of service adaptability. A client application can invoke several services. Its context consists of the platform that executes it, which can be a device such as a server, a laptop, a tablet or a smart phone, and the services available to it. Each service needs a platform to execute it and its environment is the set of services that it can invoke. For simplicity, the platform and environment is shown for service B only. The client application can also be a service, available to other applications. Platform awareness, according to the platform’s characteristics and capabilities, either from the local application or service or the services they invoke (Ortiz & Prado, 2009). Environment awareness, in which the set of services available can vary according to location or access rights, for example. Service changes, in which the client also needs to be changed to continue to use that service.